Nashville, TN -- The Country Music Hall of Fame® and Museum will present two special programs next month in support of the exhibition Chet Atkins: Certified Guitar Player. On March 3, The Life and Times of Chet Atkins by Dr. Richard Hood will begin at 1:30 p.m. in the museum's Ford Theater. Dr. 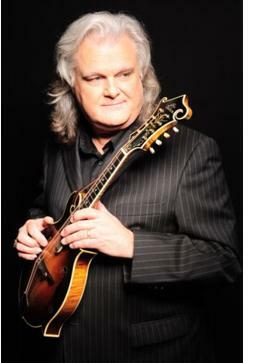 Hood, a Chet Atkins scholar and finger-style guitarist, will trace Atkins' life from his rural childhood to his career as a legendary guitarist and producer. Ben Hall and Eddie Pennington, both winners of the National Thumbpicking Championship, will perform selections from the Chet Atkins catalog. Pennington will also present a thumbpick guitar demonstration on March 4, at 1:00 p.m. in the museum's SunTrust Community Room. 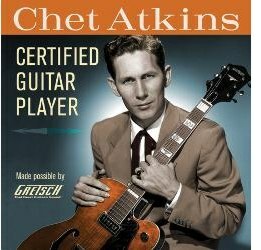 Nashville, TN -- During his lifetime, the legendary Chet Atkins bestowed the title "C.G.P.," for "Certified Guitar Player," on only four guitar pickers: Tommy Emmanuel, John Knowles, the late Jerry Reed, and Steve Wariner. At a program Saturday marking the opening of the new Chet Atkins exhibit at the Country Music Hall of Fame & Museum®, Atkins' daughter Merle asked Steve Wariner to help her continue the tradition and read a proclamation that officially conferred the last and final "C.G.P." title on Paul Yandell, the master guitarist who had been Atkins' bandleader and confidant for over 30 years.